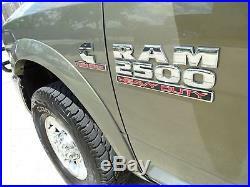 2012 Ram 2500 Laramie. See more photos below. TRADES WELCOME & FINANCING AVAILABLE!! 6.7L I6 CUMMINS TURBO DIESEL ENGINE. Dark Slate Interior Leather. 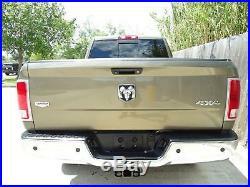 2012 Dodge Ram 2500 HD – 4X4 – 4 dr. Crew Cab – Premium Laramie Package – Short Bed – 6.7L Cummins Turbo Diesel – Automatic Transmission – Navigation – Heated and Cooled Leather – Premium Alpine Audio – Non-Smoker – Very Nice Truck – 131,891 Miles. 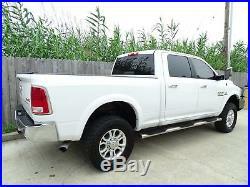 2012 Dodge Ram 2500 Heavy Duty 4X4 4dr. 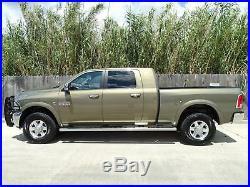 Crew Cab Premium Laramie Pkg. (6.7L 6cylTC), Automatic Transmission with Mineral Gray Metallic Exterior, Premium Dark Slate Leather Interior. IF YOU HAVE ANY QUESTIONS! 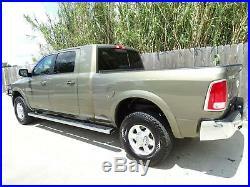 I’LL BE HAPPY TO GO OVER THIS RAM 2500 4X4 LARAMIE CREW CAB IN DETAIL WITH YOU. AT OUR DEALERSHIP WE WORK VERY HARD TO ACCURATELY DESCRIBE OUR VEHICLES THROUGH TEXT DESCRIPTIONS AND ELABORATE PHOTOS. PLEASE KEEP IN MIND THAT YOU ARE PURCHASING A PRE-OWNED VEHICLE AND NO PRE-OWNED VEHICLE IS PERFECT. ANY USED VEHICLE CAN HAVE NORMAL WEAR AND BLEMISHES. BOOKS, FLOOR MATS, AND EXTRA KEYS MAY NOT BE INCLUDED UNLESS STATED OTHERWISE. [ETJ] 6.7L I6 CUMMINS TURBO DIESEL ENGINE -inc: 11.50 rear axle, Cummins turbo diesel badge, current generation engine controller, diesel exhaust brake, electronically controlled throttle, front bumper sight shields, 9600# GVWR, tow hooks. 2nd row in-floor storage bins. Air conditioning w/dual zone temp control. Carpet in excellent condition. Chrome accent shift knob. Deluxe door trim panel. Front & rear floor mats. Front center seat cushion storage. Instrument cluster w/display screen. Interior in excellent condition. Leather wrapped steering wheel. Overhead console w/universal garage door opener. Rear dome lamp w/on/off switch. Rear underseat compartment storage. Seats in excellent condition. Sentry Key theft deterrent system. Steering wheel mounted audio controls. 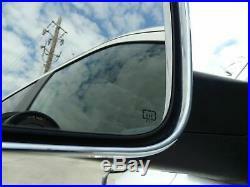 Sun visors w/illuminated vanity mirrors. Temp & compass gauge. Woodgrain instrument panel bezel. 17 steel spare wheel. 17″ x 8.0″ aluminum wheels. Body color fuel filler door. Body color headlamp filler panel. Body color/chrome door handles. Exterior in excellent condition. Front bumper sight shields. Front license plate bracket. Full size spare tire. Variable speed intermittent windshield wipers. Vendor painted cargo box tracking. Advanced multistage front air bags. Child safety door locks. Front height-adjustable shoulder belts. ParkView rear back-up camera. Supplemental side curtain front & rear air bags. Tire pressure monitoring display. 10.5 rear axle ring gear diameter. 3.73 axle ratio. Class IV receiver hitch. Electronic shift-on-the-fly transfer case. HD front shock absorbers. HD rear shock absorbers. Next generation engine controller. Pwr 4-wheel anti-lock disc brakes. Trailer tow wiring w/4-pin connector. (9) amplified speakers w/subwoofer. 6.5 touch screen display. Fixed long mast antenna. 17 inch aluminum wheels in excellent condition. A better way to get a loan. Our dealership offers several financing options. We make it easy to get the new (or just new-to-you) vehicle you need, whether it is a car, truck, boat or RV. We provide flexible terms, competitive rates, plus let you set the pament due date at the beginning of the loan. Applying online is fast, convenient and secure. We GUARANTEE ALL OUR TITLES TO BE CLEAN AND CLEAR OF ANY LIENS. WE DO NOT SELL VEHICLES THAT HAVE SALVAGE OR RECONDITIONED TITLES. Texas Is A Title Holding State. We Will Provide You With A 60 Day Temporary Tag During This Period. All Titles Will Be Sent Via Federal Express With The Proper Tracking Information. Thank You For Your Understanding. Certified Funds and Institutional Financing. Title Information Discount Motor Company is a licensed and bonded dealer in the State of Texas and guarantee a clean title on all our vehicles. In Texas, most titles are held as collateral with the lein holder. While we usually have all titles in our possession, there are occasions when we may be waiting for them to arrive. Thank you for your patience and understanding. Governing Law; Venue These Terms and Conditions will be construed in accordance with and governed exclusively by the laws of the State of Texas applicable to Terms and Conditions made among Texas residents and to be performed wholly within such jurisdiction, regardless of such parties actual domiciles. For purposes of these Terms and Conditions both parties submit to personal jurisdiction in Nueces County , Texas and further agree that any cause of action arising under these Terms and Conditions will be brought exclusively in a Nueces County, Texas court. I HAVE BEEN IN BUSINESS FOR OVER 15 YEARS. I PERSONALLY DRIVE AND INSPECT EVERY VEHICLE IN MY INVENTORY. I WILL DO MY BEST TO ANSWER ANY QUESTIONS YOU MAY HAVE ON ANY OF MY LISTINGS. 4602 South Padre Island Drive. Corpus Christi, Texas 78411. 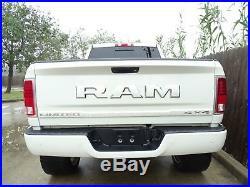 The item “2012 Ram 2500 Laramie” is in sale since Friday, April 12, 2019. 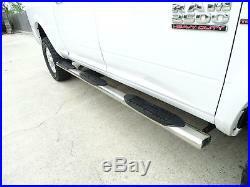 This item is in the category “eBay Motors\Cars & Trucks\Dodge\Ram 2500″. 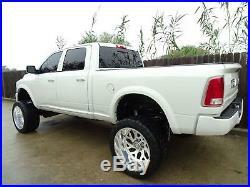 The seller is “discount*trucks*in*texas” and is located in Corpus Christi, Texas. This item can be shipped worldwide. 2014 Ram 2500 Laramie. See more photos below. TRADES WELCOME & FINANCING AVAILABLE!! ENGINE: 6.7L I6 CUMMINS TURBO DIESEL. Lt Frost Beige/Brown Leather. 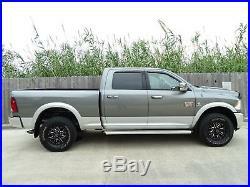 2014 Dodge Ram 2500 HD – 4X4 – 4 dr. 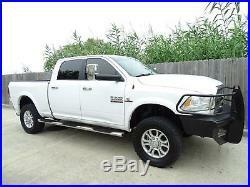 Crew Cab – Premium Laramie Package – 6.7L Cummins Turbo Diesel – 6-Speed Automatic Transmission – Navigation – Premium Alpine Audio – Non-Smoker – Extremely Nice Truck – Only 112,565 Miles. 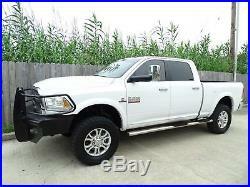 2014 Dodge Ram 2500 Heavy Duty 4X4 Premium Laramie Longhorn Pkg. 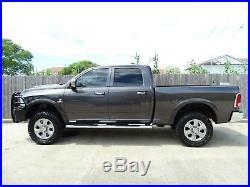 4dr Crew Cab (6.7L 6cylTC), Automatic Transmission with Bright White Clearcoat Exterior, Premium Light Tan Leather Interior. Loaded with Laramie Longhorn Package, 6.7L Turbocharged Diesel I6 Engine, 6-Speed Automatic Transmission (3.73 axle ratio), Dual Powered Front Seats. IF YOU HAVE ANY QUESTIONS! 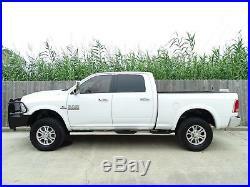 I’LL BE HAPPY TO GO OVER THIS RAM 2500 LARAMIE CREW CAB 4X4 IN DETAIL WITH YOU. AT OUR DEALERSHIP WE WORK VERY HARD TO ACCURATELY DESCRIBE OUR VEHICLES THROUGH TEXT DESCRIPTIONS AND ELABORATE PHOTOS. PLEASE KEEP IN MIND THAT YOU ARE PURCHASING A PRE-OWNED VEHICLE AND NO PRE-OWNED VEHICLE IS PERFECT. ANY USED VEHICLE CAN HAVE NORMAL WEAR AND BLEMISHES. BOOKS, FLOOR MATS, AND EXTRA KEYS MAY NOT BE INCLUDED UNLESS STATED OTHERWISE. [ETK] ENGINE: 6.7L I6 CUMMINS TURBO DIESEL -inc: GVWR: 10,000 lbs, 5.5 Additional Gallons of Diesel, Cummins Turbo Diesel Badge, Current Generation Engine Controller, 50 State Emissions, Diesel Exhaust Brake, Selective Catalytic Reduction (Urea), Tow Hooks, 180 Amp Alternator, RAM Active Air. 115V Auxiliary Power Outlet. 2 Seatback Storage Pockets. 3 12V DC Power Outlets. Cargo Area Concealed Storage. Carpet in good condition. Cruise Control w/Steering Wheel Controls. 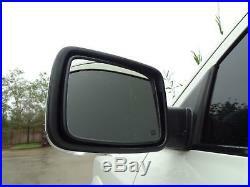 Driver And Passenger Visor Vanity Mirrors w/Driver And Passenger Illumination. Dual Zone Front Automatic Air Conditioning w/Front Infrared. Folding Flat Load Floor Storage. Full Carpet Floor Covering -inc: Carpet Front And Rear Floor Mats. HVAC -inc: Underseat Ducts and Console Ducts. Heated Leather Steering Wheel. Instrument Panel Bin, Dashboard Storage, Driver / Passenger And Rear Door Bins, 1st Row Underseat Storage and 2nd Row Underseat Storage. Interior Trim -inc: Simulated Wood/Metal-Look Instrument Panel Insert, Simulated Wood/Metal-Look Door Panel Insert and Chrome/Metal-Look Interior Accents. Interior in excellent condition. Manual Adjustable Front Head Restraints and Manual Adjustable Rear Head Restraints. Manual Tilt Steering Column. Memory Settings -inc: Driver Seat and Audio. Mini Overhead Console and 3 12V DC Power Outlets. Rear 60/40 Split Folding Seat. Seats in excellent condition. Sentry Key Engine Immobilizer. Urethane Gear Shift Knob. Black Side Windows Trim and Black Front Windshield Trim. Cargo Lamp w/High Mount Stop Light. Chrome Rear Step Bumper. Exterior Mirrors Courtesy Lamps. Exterior in excellent condition. Front License Plate Bracket. Full-Size Spare Tire Stored Underbody w/Crankdown. Fully Automatic Projector Beam Halogen Headlamps w/Delay-Off. Fully Galvanized Steel Panels. Tailgate Rear Cargo Access. Vendor Painted Cargo Box Tracking. Curtain 1st And 2nd Row Airbags. Dual Stage Driver And Passenger Front Airbags. Dual Stage Driver And Passenger Seat-Mounted Side Airbags. Outboard Front Lap And Shoulder Safety Belts -inc: Rear Center 3 Point, Height Adjusters and Pretensioners. Parksense Rear Parking Sensors. Rear Child Safety Locks. Tire Specific Low Tire Pressure Warning. 3.73 Rear Axle Ratio. 4-Wheel Disc Brakes w/4-Wheel ABS, Front And Rear Vented Discs, Brake Assist and Hill Hold Control. 730CCA Maintenance-Free Battery w/Run Down Protection. Class V Towing Equipment -inc: Harness, Hitch, Brake Controller and Trailer Sway Control. GVWR: 9,000 lbs. Multi-Link Front Suspension w/Coil Springs. Multi-Link Rear Suspension w/Coil Springs. Single Stainless Steel Exhaust. 18 inch aluminum wheels in excellent condition. A better way to get a loan. Our dealership offers several financing options. We make it easy to get the new (or just new-to-you) vehicle you need, whether it is a car, truck, boat or RV. We provide flexible terms, competitive rates, plus let you set the pament due date at the beginning of the loan. Applying online is fast, convenient and secure. We GUARANTEE ALL OUR TITLES TO BE CLEAN AND CLEAR OF ANY LIENS. WE DO NOT SELL VEHICLES THAT HAVE SALVAGE OR RECONDITIONED TITLES. Texas Is A Title Holding State. We Will Provide You With A 60 Day Temporary Tag During This Period. All Titles Will Be Sent Via Federal Express With The Proper Tracking Information. Thank You For Your Understanding. Certified Funds and Institutional Financing. Title Information Discount Motor Company is a licensed and bonded dealer in the State of Texas and guarantee a clean title on all our vehicles. In Texas, most titles are held as collateral with the lein holder. While we usually have all titles in our possession, there are occasions when we may be waiting for them to arrive. Thank you for your patience and understanding. Governing Law; Venue These Terms and Conditions will be construed in accordance with and governed exclusively by the laws of the State of Texas applicable to Terms and Conditions made among Texas residents and to be performed wholly within such jurisdiction, regardless of such parties actual domiciles. For purposes of these Terms and Conditions both parties submit to personal jurisdiction in Nueces County , Texas and further agree that any cause of action arising under these Terms and Conditions will be brought exclusively in a Nueces County, Texas court. I HAVE BEEN IN BUSINESS FOR OVER 15 YEARS. I PERSONALLY DRIVE AND INSPECT EVERY VEHICLE IN MY INVENTORY. I WILL DO MY BEST TO ANSWER ANY QUESTIONS YOU MAY HAVE ON ANY OF MY LISTINGS. 4602 South Padre Island Drive. Corpus Christi, Texas 78411. The item “2014 Ram 2500 Laramie” is in sale since Friday, March 29, 2019. 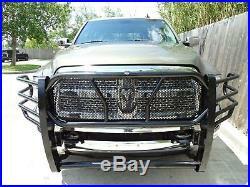 This item is in the category “eBay Motors\Cars & Trucks\Dodge\Ram 2500″. 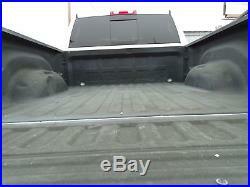 The seller is “discount*trucks*in*texas” and is located in Corpus Christi, Texas. This item can be shipped worldwide. 2014 Ram 2500 Laramie. See more photos below. TRADES WELCOME & FINANCING AVAILABLE!! ENGINE: 6.7L I6 CUMMINS TURBO DIESEL. Lt Frost Beige/Brown Leather. 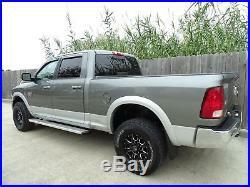 2014 Dodge Ram 2500 HD – 4X4 – 4 dr. 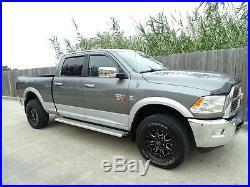 Crew Cab – Premium Laramie Package – 6.7L Cummins Turbo Diesel – 6-Speed Automatic Transmission – Navigation – Premium Alpine Audio – Non-Smoker – Extremely Nice Truck – Only 112,565 Miles. 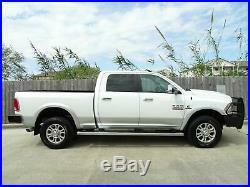 2014 Dodge Ram 2500 Heavy Duty 4X4 Premium Laramie Longhorn Pkg. 4dr Crew Cab (6.7L 6cylTC), Automatic Transmission with Bright White Clearcoat Exterior, Premium Light Tan Leather Interior. Loaded with Laramie Longhorn Package, 6.7L Turbocharged Diesel I6 Engine, 6-Speed Automatic Transmission (3.73 axle ratio), Dual Powered Front Seats. IF YOU HAVE ANY QUESTIONS! 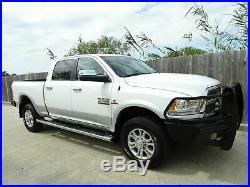 I’LL BE HAPPY TO GO OVER THIS RAM 2500 LARAMIE CREW CAB 4X4 IN DETAIL WITH YOU. AT OUR DEALERSHIP WE WORK VERY HARD TO ACCURATELY DESCRIBE OUR VEHICLES THROUGH TEXT DESCRIPTIONS AND ELABORATE PHOTOS. PLEASE KEEP IN MIND THAT YOU ARE PURCHASING A PRE-OWNED VEHICLE AND NO PRE-OWNED VEHICLE IS PERFECT. ANY USED VEHICLE CAN HAVE NORMAL WEAR AND BLEMISHES. BOOKS, FLOOR MATS, AND EXTRA KEYS MAY NOT BE INCLUDED UNLESS STATED OTHERWISE. [ETK] ENGINE: 6.7L I6 CUMMINS TURBO DIESEL -inc: GVWR: 10,000 lbs, 5.5 Additional Gallons of Diesel, Cummins Turbo Diesel Badge, Current Generation Engine Controller, 50 State Emissions, Diesel Exhaust Brake, Selective Catalytic Reduction (Urea), Tow Hooks, 180 Amp Alternator, RAM Active Air. 115V Auxiliary Power Outlet. 2 Seatback Storage Pockets. 3 12V DC Power Outlets. Cargo Area Concealed Storage. Carpet in good condition. Cruise Control w/Steering Wheel Controls. 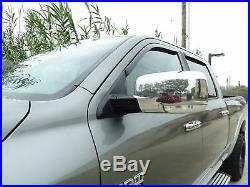 Driver And Passenger Visor Vanity Mirrors w/Driver And Passenger Illumination. Dual Zone Front Automatic Air Conditioning w/Front Infrared. Folding Flat Load Floor Storage. Full Carpet Floor Covering -inc: Carpet Front And Rear Floor Mats. HVAC -inc: Underseat Ducts and Console Ducts. Heated Leather Steering Wheel. Instrument Panel Bin, Dashboard Storage, Driver / Passenger And Rear Door Bins, 1st Row Underseat Storage and 2nd Row Underseat Storage. Interior Trim -inc: Simulated Wood/Metal-Look Instrument Panel Insert, Simulated Wood/Metal-Look Door Panel Insert and Chrome/Metal-Look Interior Accents. Interior in excellent condition. Manual Adjustable Front Head Restraints and Manual Adjustable Rear Head Restraints. Manual Tilt Steering Column. Memory Settings -inc: Driver Seat and Audio. Mini Overhead Console and 3 12V DC Power Outlets. Rear 60/40 Split Folding Seat. Seats in excellent condition. Sentry Key Engine Immobilizer. Urethane Gear Shift Knob. Black Side Windows Trim and Black Front Windshield Trim. Cargo Lamp w/High Mount Stop Light. 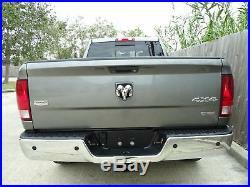 Chrome Rear Step Bumper. Exterior Mirrors Courtesy Lamps. Exterior in excellent condition. Front License Plate Bracket. Full-Size Spare Tire Stored Underbody w/Crankdown. Fully Automatic Projector Beam Halogen Headlamps w/Delay-Off. Fully Galvanized Steel Panels. Tailgate Rear Cargo Access. Vendor Painted Cargo Box Tracking. Curtain 1st And 2nd Row Airbags. Dual Stage Driver And Passenger Front Airbags. Dual Stage Driver And Passenger Seat-Mounted Side Airbags. Outboard Front Lap And Shoulder Safety Belts -inc: Rear Center 3 Point, Height Adjusters and Pretensioners. Parksense Rear Parking Sensors. Rear Child Safety Locks. Tire Specific Low Tire Pressure Warning. 3.73 Rear Axle Ratio. 4-Wheel Disc Brakes w/4-Wheel ABS, Front And Rear Vented Discs, Brake Assist and Hill Hold Control. 730CCA Maintenance-Free Battery w/Run Down Protection. Class V Towing Equipment -inc: Harness, Hitch, Brake Controller and Trailer Sway Control. GVWR: 9,000 lbs. Multi-Link Front Suspension w/Coil Springs. Multi-Link Rear Suspension w/Coil Springs. Single Stainless Steel Exhaust. 18 inch aluminum wheels in excellent condition. A better way to get a loan. Our dealership offers several financing options. We make it easy to get the new (or just new-to-you) vehicle you need, whether it is a car, truck, boat or RV. We provide flexible terms, competitive rates, plus let you set the pament due date at the beginning of the loan. Applying online is fast, convenient and secure. We GUARANTEE ALL OUR TITLES TO BE CLEAN AND CLEAR OF ANY LIENS. WE DO NOT SELL VEHICLES THAT HAVE SALVAGE OR RECONDITIONED TITLES. Texas Is A Title Holding State. We Will Provide You With A 60 Day Temporary Tag During This Period. All Titles Will Be Sent Via Federal Express With The Proper Tracking Information. Thank You For Your Understanding. Certified Funds and Institutional Financing. Title Information Discount Motor Company is a licensed and bonded dealer in the State of Texas and guarantee a clean title on all our vehicles. In Texas, most titles are held as collateral with the lein holder. While we usually have all titles in our possession, there are occasions when we may be waiting for them to arrive. Thank you for your patience and understanding. Governing Law; Venue These Terms and Conditions will be construed in accordance with and governed exclusively by the laws of the State of Texas applicable to Terms and Conditions made among Texas residents and to be performed wholly within such jurisdiction, regardless of such parties actual domiciles. For purposes of these Terms and Conditions both parties submit to personal jurisdiction in Nueces County , Texas and further agree that any cause of action arising under these Terms and Conditions will be brought exclusively in a Nueces County, Texas court. I HAVE BEEN IN BUSINESS FOR OVER 15 YEARS. I PERSONALLY DRIVE AND INSPECT EVERY VEHICLE IN MY INVENTORY. I WILL DO MY BEST TO ANSWER ANY QUESTIONS YOU MAY HAVE ON ANY OF MY LISTINGS. 4602 South Padre Island Drive. Corpus Christi, Texas 78411. The item “2014 Ram 2500 Laramie” is in sale since Tuesday, February 19, 2019. 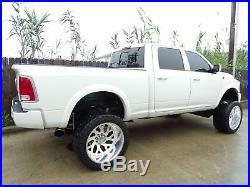 This item is in the category “eBay Motors\Cars & Trucks\Ram\2500″. 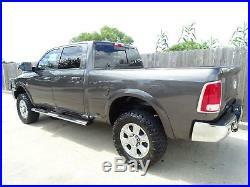 The seller is “discount*trucks*in*texas” and is located in Corpus Christi, Texas. This item can be shipped worldwide. 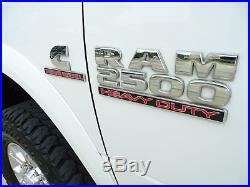 2012 Ram 2500 Laramie. See more photos below. TRADES WELCOME & FINANCING AVAILABLE!! 6.7L I6 CUMMINS TURBO DIESEL ENGINE. Dark Slate Interior Leather. 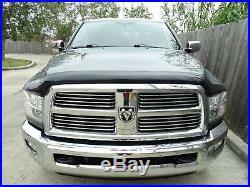 2012 Dodge Ram 2500 HD – 4X4 – 4 dr. Crew Cab – Premium Laramie Package – Short Bed – 6.7L Cummins Turbo Diesel – Automatic Transmission – Navigation – Heated and Cooled Leather – Premium Alpine Audio – Non-Smoker – Very Nice Truck – 131,891 Miles. 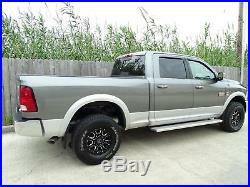 2012 Dodge Ram 2500 Heavy Duty 4X4 4dr. 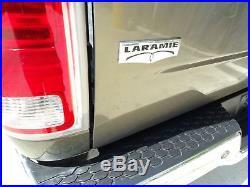 Crew Cab Premium Laramie Pkg. (6.7L 6cylTC), Automatic Transmission with Mineral Gray Metallic Exterior, Premium Dark Slate Leather Interior. IF YOU HAVE ANY QUESTIONS! 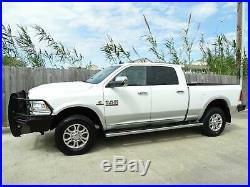 I’LL BE HAPPY TO GO OVER THIS RAM 2500 4X4 LARAMIE CREW CAB IN DETAIL WITH YOU. AT OUR DEALERSHIP WE WORK VERY HARD TO ACCURATELY DESCRIBE OUR VEHICLES THROUGH TEXT DESCRIPTIONS AND ELABORATE PHOTOS. PLEASE KEEP IN MIND THAT YOU ARE PURCHASING A PRE-OWNED VEHICLE AND NO PRE-OWNED VEHICLE IS PERFECT. ANY USED VEHICLE CAN HAVE NORMAL WEAR AND BLEMISHES. BOOKS, FLOOR MATS, AND EXTRA KEYS MAY NOT BE INCLUDED UNLESS STATED OTHERWISE. [ETJ] 6.7L I6 CUMMINS TURBO DIESEL ENGINE -inc: 11.50 rear axle, Cummins turbo diesel badge, current generation engine controller, diesel exhaust brake, electronically controlled throttle, front bumper sight shields, 9600# GVWR, tow hooks. 2nd row in-floor storage bins. Air conditioning w/dual zone temp control. Carpet in excellent condition. Chrome accent shift knob. Deluxe door trim panel. Front & rear floor mats. Front center seat cushion storage. Instrument cluster w/display screen. Interior in excellent condition. Leather wrapped steering wheel. Overhead console w/universal garage door opener. Rear dome lamp w/on/off switch. Rear underseat compartment storage. Seats in excellent condition. Sentry Key theft deterrent system. Steering wheel mounted audio controls. Sun visors w/illuminated vanity mirrors. Temp & compass gauge. Woodgrain instrument panel bezel. 17 steel spare wheel. 17″ x 8.0″ aluminum wheels. Body color fuel filler door. Body color headlamp filler panel. Body color/chrome door handles. Exterior in excellent condition. Front bumper sight shields. Front license plate bracket. Full size spare tire. Variable speed intermittent windshield wipers. Vendor painted cargo box tracking. Advanced multistage front air bags. Child safety door locks. Front height-adjustable shoulder belts. ParkView rear back-up camera. Supplemental side curtain front & rear air bags. Tire pressure monitoring display. 10.5 rear axle ring gear diameter. 3.73 axle ratio. Class IV receiver hitch. Electronic shift-on-the-fly transfer case. HD front shock absorbers. HD rear shock absorbers. Next generation engine controller. Pwr 4-wheel anti-lock disc brakes. Trailer tow wiring w/4-pin connector. (9) amplified speakers w/subwoofer. 6.5 touch screen display. Fixed long mast antenna. 17 inch aluminum wheels in excellent condition. A better way to get a loan. Our dealership offers several financing options. We make it easy to get the new (or just new-to-you) vehicle you need, whether it is a car, truck, boat or RV. We provide flexible terms, competitive rates, plus let you set the pament due date at the beginning of the loan. Applying online is fast, convenient and secure. We GUARANTEE ALL OUR TITLES TO BE CLEAN AND CLEAR OF ANY LIENS. WE DO NOT SELL VEHICLES THAT HAVE SALVAGE OR RECONDITIONED TITLES. Texas Is A Title Holding State. We Will Provide You With A 60 Day Temporary Tag During This Period. All Titles Will Be Sent Via Federal Express With The Proper Tracking Information. Thank You For Your Understanding. Certified Funds and Institutional Financing. Title Information Discount Motor Company is a licensed and bonded dealer in the State of Texas and guarantee a clean title on all our vehicles. In Texas, most titles are held as collateral with the lein holder. While we usually have all titles in our possession, there are occasions when we may be waiting for them to arrive. Thank you for your patience and understanding. Governing Law; Venue These Terms and Conditions will be construed in accordance with and governed exclusively by the laws of the State of Texas applicable to Terms and Conditions made among Texas residents and to be performed wholly within such jurisdiction, regardless of such parties actual domiciles. For purposes of these Terms and Conditions both parties submit to personal jurisdiction in Nueces County , Texas and further agree that any cause of action arising under these Terms and Conditions will be brought exclusively in a Nueces County, Texas court. I HAVE BEEN IN BUSINESS FOR OVER 15 YEARS. I PERSONALLY DRIVE AND INSPECT EVERY VEHICLE IN MY INVENTORY. I WILL DO MY BEST TO ANSWER ANY QUESTIONS YOU MAY HAVE ON ANY OF MY LISTINGS. 4602 South Padre Island Drive. Corpus Christi, Texas 78411. The item “2012 Ram 2500 Laramie” is in sale since Wednesday, February 27, 2019. 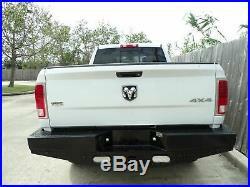 This item is in the category “eBay Motors\Cars & Trucks\Dodge\Ram 2500″. 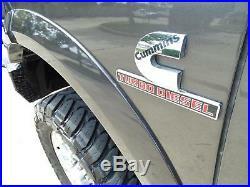 The seller is “discount*trucks*in*texas” and is located in Corpus Christi, Texas. This item can be shipped worldwide. 2016 Ram 2500 Laramie. See more photos below. TRADES WELCOME & FINANCING AVAILABLE!! ENGINE: 6.7L I6 CUMMINS TURBO DIESEL. 2016 Dodge Ram 2500 HD – 4X4 – 4 dr. Crew Cab – Laramie Limited Package – 6.7L Cummins Turbo Diesel – Automatic Transmission – Non-Smoker – Extremley Nice Truck – 47,100 Miles. 2016 Dodge Ram 2500 Heavy Duty 4X4 with Laramie Limited Pkg. 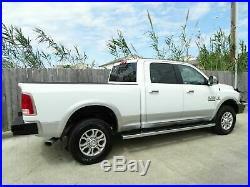 4dr Crew Cab (6.7L 6cylTC), Automatic Transmission with Pearl White Exterior, Black Leather Interior. IF YOU HAVE ANY QUESTIONS! 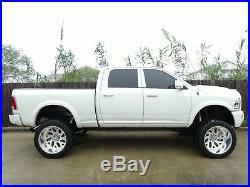 I’LL BE HAPPY TO GO OVER THIS RAM 2500 CREW CAB 4X4 IN DETAIL WITH YOU. AT OUR DEALERSHIP WE WORK VERY HARD TO ACCURATELY DESCRIBE OUR VEHICLES THROUGH TEXT DESCRIPTIONS AND ELABORATE PHOTOS. PLEASE KEEP IN MIND THAT YOU ARE PURCHASING A PRE-OWNED VEHICLE AND NO PRE-OWNED VEHICLE IS PERFECT. ANY USED VEHICLE CAN HAVE NORMAL WEAR AND BLEMISHES. BOOKS, FLOOR MATS, AND EXTRA KEYS MAY NOT BE INCLUDED UNLESS STATED OTHERWISE. [ETK] ENGINE: 6.7L I6 CUMMINS TURBO DIESEL -inc: GVWR: 10,000 lbs, 5.5 Additional Gallons of Diesel, Cummins Turbo Diesel Badge, Electronically Controlled Throttle, Front Bumper Sight Shields, Current Generation Engine Controller, Diesel Exhaust Brake, Selective Catalytic Reduction (Urea), Tow Hooks, 180 Amp Alternator, RAM Active Air. 115V Auxiliary Power Outlet. 2 Seatback Storage Pockets. 3 12V DC Power Outlets. Cargo Area Concealed Storage. Carpet in excellent condition. Cruise Control w/Steering Wheel Controls. Day-Night Auto-Dimming Rearview Mirror. 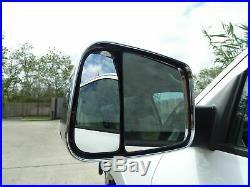 Driver And Passenger Visor Vanity Mirrors w/Driver And Passenger Illumination. Dual Zone Front Automatic Air Conditioning w/Front Infrared. Full Carpet Floor Covering -inc: Carpet Front And Rear Floor Mats. HVAC -inc: Underseat Ducts and Console Ducts. Heated Leather Steering Wheel. Instrument Panel Bin, Dashboard Storage, Driver / Passenger And Rear Door Bins, 1st Row Underseat Storage and 2nd Row Underseat Storage. Interior Trim -inc: Simulated Wood/Metal-Look Instrument Panel Insert, Simulated Wood/Metal-Look Door Panel Insert and Chrome/Metal-Look Interior Accents. Interior in excellent condition. Manual Adjustable Front Head Restraints and Manual Adjustable Rear Head Restraints. Manual Tilt Steering Column. Mini Overhead Console and 3 12V DC Power Outlets. Mobile Hotspot Internet Access. Seats in good condition. Sentry Key Engine Immobilizer. Urethane Gear Shift Knob. Black Side Windows Trim and Black Front Windshield Trim. Cargo Lamp w/High Mount Stop Light. 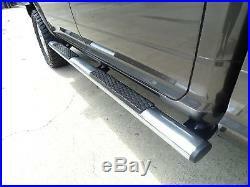 Chrome Rear Step Bumper. Exterior in excellent condition. Front License Plate Bracket. Full-Size Spare Tire Stored Underbody w/Crankdown. Fully Automatic Projector Beam Halogen Headlamps w/Delay-Off. Fully Galvanized Steel Panels. Tailgate Rear Cargo Access. Vendor Painted Cargo Box Tracking. Curtain 1st And 2nd Row Airbags. Dual Stage Driver And Passenger Front Airbags. Dual Stage Driver And Passenger Seat-Mounted Side Airbags. Outboard Front Lap And Shoulder Safety Belts -inc: Rear Center 3 Point, Height Adjusters and Pretensioners. ParkSense Front And Rear Parking Sensors. Rear Child Safety Locks. Tire Specific Low Tire Pressure Warning. Uconnect Access Emergency Sos. 3.73 Rear Axle Ratio. 4-Wheel Disc Brakes w/4-Wheel ABS, Front And Rear Vented Discs, Brake Assist and Hill Hold Control. 730CCA Maintenance-Free Battery w/Run Down Protection. GVWR: 9,000 lbs. Multi-Link Front Suspension w/Coil Springs. Multi-Link Rear Suspension w/Coil Springs. Single Stainless Steel Exhaust. 2 LCD Monitors In The Front. 24 inch aluminum wheels in excellent condition. A better way to get a loan. Our dealership offers several financing options. We make it easy to get the new (or just new-to-you) vehicle you need, whether it is a car, truck, boat or RV. We provide flexible terms, competitive rates, plus let you set the pament due date at the beginning of the loan. Applying online is fast, convenient and secure. We GUARANTEE ALL OUR TITLES TO BE CLEAN AND CLEAR OF ANY LIENS. WE DO NOT SELL VEHICLES THAT HAVE SALVAGE OR RECONDITIONED TITLES. Texas Is A Title Holding State. We Will Provide You With A 60 Day Temporary Tag During This Period. All Titles Will Be Sent Via Federal Express With The Proper Tracking Information. Thank You For Your Understanding. Certified Funds and Institutional Financing. Title Information Discount Motor Company is a licensed and bonded dealer in the State of Texas and guarantee a clean title on all our vehicles. In Texas, most titles are held as collateral with the lein holder. While we usually have all titles in our possession, there are occasions when we may be waiting for them to arrive. Thank you for your patience and understanding. Governing Law; Venue These Terms and Conditions will be construed in accordance with and governed exclusively by the laws of the State of Texas applicable to Terms and Conditions made among Texas residents and to be performed wholly within such jurisdiction, regardless of such parties actual domiciles. For purposes of these Terms and Conditions both parties submit to personal jurisdiction in Nueces County , Texas and further agree that any cause of action arising under these Terms and Conditions will be brought exclusively in a Nueces County, Texas court. I HAVE BEEN IN BUSINESS FOR OVER 15 YEARS. I PERSONALLY DRIVE AND INSPECT EVERY VEHICLE IN MY INVENTORY. I WILL DO MY BEST TO ANSWER ANY QUESTIONS YOU MAY HAVE ON ANY OF MY LISTINGS. 4602 South Padre Island Drive. Corpus Christi, Texas 78411. The item “2016 Ram 2500 Laramie” is in sale since Wednesday, January 16, 2019. 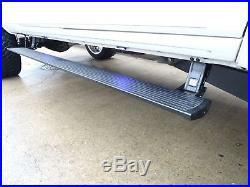 This item is in the category “eBay Motors\Cars & Trucks\Ram\2500″. 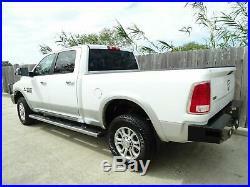 The seller is “discount*trucks*in*texas” and is located in Corpus Christi, Texas. This item can be shipped worldwide. 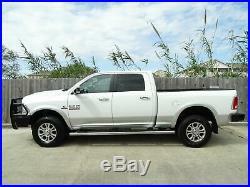 2012 Ram 2500 Laramie. See more photos below. TRADES WELCOME & FINANCING AVAILABLE!! 6.7L I6 CUMMINS TURBO DIESEL ENGINE. Dark Slate Interior Leather. 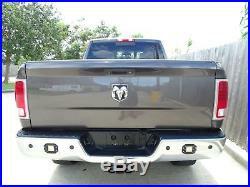 2012 Dodge Ram 2500 HD – 4X4 – 4 dr. Crew Cab – Premium Laramie Package – Short Bed – 6.7L Cummins Turbo Diesel – Automatic Transmission – Navigation – Heated and Cooled Leather – Premium Alpine Audio – Non-Smoker – Very Nice Truck – 131,891 Miles. 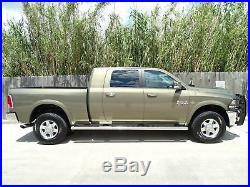 2012 Dodge Ram 2500 Heavy Duty 4X4 4dr. 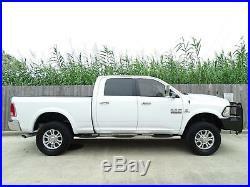 Crew Cab Premium Laramie Pkg. (6.7L 6cylTC), Automatic Transmission with Mineral Gray Metallic Exterior, Premium Dark Slate Leather Interior. IF YOU HAVE ANY QUESTIONS! 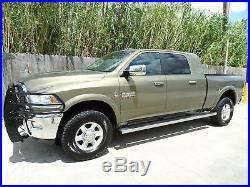 I’LL BE HAPPY TO GO OVER THIS RAM 2500 4X4 LARAMIE CREW CAB IN DETAIL WITH YOU. AT OUR DEALERSHIP WE WORK VERY HARD TO ACCURATELY DESCRIBE OUR VEHICLES THROUGH TEXT DESCRIPTIONS AND ELABORATE PHOTOS. PLEASE KEEP IN MIND THAT YOU ARE PURCHASING A PRE-OWNED VEHICLE AND NO PRE-OWNED VEHICLE IS PERFECT. ANY USED VEHICLE CAN HAVE NORMAL WEAR AND BLEMISHES. BOOKS, FLOOR MATS, AND EXTRA KEYS MAY NOT BE INCLUDED UNLESS STATED OTHERWISE. [ETJ] 6.7L I6 CUMMINS TURBO DIESEL ENGINE -inc: 11.50 rear axle, Cummins turbo diesel badge, current generation engine controller, diesel exhaust brake, electronically controlled throttle, front bumper sight shields, 9600# GVWR, tow hooks. 2nd row in-floor storage bins. Air conditioning w/dual zone temp control. Carpet in excellent condition. Chrome accent shift knob. Deluxe door trim panel. Front & rear floor mats. Front center seat cushion storage. Instrument cluster w/display screen. Interior in excellent condition. Leather wrapped steering wheel. Overhead console w/universal garage door opener. Rear dome lamp w/on/off switch. Rear underseat compartment storage. Seats in excellent condition. Sentry Key theft deterrent system. Steering wheel mounted audio controls. 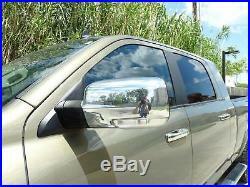 Sun visors w/illuminated vanity mirrors. Temp & compass gauge. Woodgrain instrument panel bezel. 17 steel spare wheel. 17″ x 8.0″ aluminum wheels. Body color fuel filler door. Body color headlamp filler panel. Body color/chrome door handles. Exterior in excellent condition. Front bumper sight shields. Front license plate bracket. Full size spare tire. Variable speed intermittent windshield wipers. Vendor painted cargo box tracking. Advanced multistage front air bags. Child safety door locks. Front height-adjustable shoulder belts. ParkView rear back-up camera. Supplemental side curtain front & rear air bags. Tire pressure monitoring display. 10.5 rear axle ring gear diameter. 3.73 axle ratio. Class IV receiver hitch. Electronic shift-on-the-fly transfer case. HD front shock absorbers. HD rear shock absorbers. Next generation engine controller. Pwr 4-wheel anti-lock disc brakes. Trailer tow wiring w/4-pin connector. (9) amplified speakers w/subwoofer. 6.5 touch screen display. Fixed long mast antenna. 17 inch aluminum wheels in excellent condition. A better way to get a loan. Our dealership offers several financing options. We make it easy to get the new (or just new-to-you) vehicle you need, whether it is a car, truck, boat or RV. We provide flexible terms, competitive rates, plus let you set the pament due date at the beginning of the loan. Applying online is fast, convenient and secure. We GUARANTEE ALL OUR TITLES TO BE CLEAN AND CLEAR OF ANY LIENS. WE DO NOT SELL VEHICLES THAT HAVE SALVAGE OR RECONDITIONED TITLES. Texas Is A Title Holding State. We Will Provide You With A 60 Day Temporary Tag During This Period. All Titles Will Be Sent Via Federal Express With The Proper Tracking Information. Thank You For Your Understanding. Certified Funds and Institutional Financing. Title Information Discount Motor Company is a licensed and bonded dealer in the State of Texas and guarantee a clean title on all our vehicles. In Texas, most titles are held as collateral with the lein holder. While we usually have all titles in our possession, there are occasions when we may be waiting for them to arrive. Thank you for your patience and understanding. Governing Law; Venue These Terms and Conditions will be construed in accordance with and governed exclusively by the laws of the State of Texas applicable to Terms and Conditions made among Texas residents and to be performed wholly within such jurisdiction, regardless of such parties actual domiciles. For purposes of these Terms and Conditions both parties submit to personal jurisdiction in Nueces County , Texas and further agree that any cause of action arising under these Terms and Conditions will be brought exclusively in a Nueces County, Texas court. I HAVE BEEN IN BUSINESS FOR OVER 15 YEARS. I PERSONALLY DRIVE AND INSPECT EVERY VEHICLE IN MY INVENTORY. I WILL DO MY BEST TO ANSWER ANY QUESTIONS YOU MAY HAVE ON ANY OF MY LISTINGS. 4602 South Padre Island Drive. Corpus Christi, Texas 78411. The item “2012 Ram 2500 Laramie” is in sale since Monday, January 14, 2019. 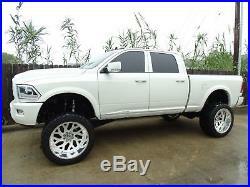 This item is in the category “eBay Motors\Cars & Trucks\Ram\2500″. 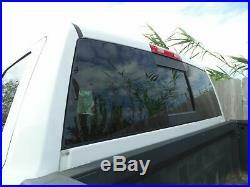 The seller is “discount*trucks*in*texas” and is located in Corpus Christi, Texas. This item can be shipped worldwide. 2013 Ram 2500 Laramie Mega Cab. See more photos below. TRADES WELCOME & FINANCING AVAILABLE!! 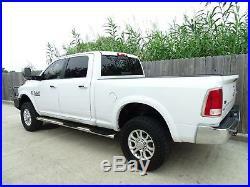 2500 Laramie Mega Cab. 6.7L I6 CUMMINS TURBO DIESEL ENGINE. 2013 Dodge Ram 2500 – 4X4 – 4 dr. Mega Cab – Laramie – Short Bed – 6.7L I6 Cummins Turbo Diesel Engine – Automatic Transmission – Heated & Cooled Leather – Premium Alpine Audio – Non-Smoker – 167,737 Miles. 2013 Dodge Ram 2500 4X4 Larmie 4dr Mega Cab (6.7L I6), Automatic Transmission with Prairie Pearl Exterior, Premium Black Leather Interior. DON’T HESITATE TO CALL GABE TO GET A MORE DETAILED DESCRIPTION. IF YOU HAVE ANY QUESTIONS! 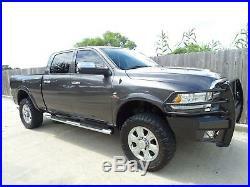 I’LL BE HAPPY TO GO OVER THIS RAM 2500 4X4 IN DETAIL WITH YOU. AT OUR DEALERSHIP WE WORK VERY HARD TO ACCURATELY DESCRIBE OUR VEHICLES THROUGH TEXT DESCRIPTIONS AND ELABORATE PHOTOS. PLEASE KEEP IN MIND THAT YOU ARE PURCHASING A PRE-OWNED VEHICLE AND NO PRE-OWNED VEHICLE IS PERFECT. ANY USED VEHICLE CAN HAVE NORMAL WEAR AND BLEMISHES. BOOKS, FLOOR MATS, AND EXTRA KEYS MAY NOT BE INCLUDED UNLESS STATED OTHERWISE. [ETK] 6.7L I6 CUMMINS TURBO DIESEL ENGINE -inc: 11.50 rear axle, 180-amp alternator, diesel exhaust brake, 10000# GVWR, selective catalytic reduction (urea), tow hooks. Auto air conditioning w/dual zone temp controls. Behind seat storage bin. Carpet in excellent condition. Chrome accent shift knob. Deluxe door trim panel. Electroluminescent instrument cluster -inc: vehicle info center, temp & compass gauge, traveler/mini trip computer, 120-MPH primary speedometer. Front & rear floor mats. Front center seat cushion storage. Front door accent lighting. Interior in excellent condition. Leather wrapped steering wheel. Overhead console w/universal garage door opener. Rear 60/40 split-fold up bench seat. Rear dome lamp w/on/off switch. Rear door accent lighting. Seats in excellent condition. Steering wheel mounted audio controls. Sun visors w/illuminated vanity mirrors. Woodgrain instrument panel bezel. 17 steel spare wheel. 17″ x 8.0″ aluminum wheels. Body color headlamp filler panel. Body color/chrome door handles. Exterior in excellent condition. Front bumper sight shields. Front license plate bracket. Full size spare tire. 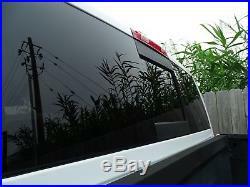 Premium chrome tail lamps. Vendor painted cargo box tracking. Advanced multistage front air bags. Child safety door locks. Front height-adjustable shoulder belts. ParkView rear back-up camera. Supplemental side curtain front & rear air bags. Tire pressure monitoring display. 10.5 rear axle ring gear diameter. 3.73 axle ratio (REQ: EZC Engine). Class V receiver hitch. Electronic shift-on-the-fly transfer case. HD front shock absorbers. HD rear shock absorbers. Pwr 4-wheel anti-lock disc brakes. Trailer tow wiring w/4-pin connector. (9) amplified speakers w/subwoofer. Fixed long mast antenna. Roadside assistance & 911 call. Uconnect access -inc: Uconnect access advantage, 6-month trial. Uconnect voice command w/Bluetooth. 17 inch aluminum wheels in excellent condition. A better way to get a loan. Our dealership offers several financing options. We make it easy to get the new (or just new-to-you) vehicle you need, whether it is a car, truck, boat or RV. We provide flexible terms, competitive rates, plus let you set the pament due date at the beginning of the loan. Applying online is fast, convenient and secure. We GUARANTEE ALL OUR TITLES TO BE CLEAN AND CLEAR OF ANY LIENS. WE DO NOT SELL VEHICLES THAT HAVE SALVAGE OR RECONDITIONED TITLES. Texas Is A Title Holding State. We Will Provide You With A 60 Day Temporary Tag During This Period. Thank You For Your Understanding. Certified Funds and Institutional Financing. Title Information Discount Motor Company is a licensed and bonded dealer in the State of Texas and guarantee a clean title on all our vehicles. In Texas, most titles are held as collateral with the lein holder. While we usually have all titles in our possession, there are occasions when we may be waiting for them to arrive. Thank you for your patience and understanding. Governing Law; Venue These Terms and Conditions will be construed in accordance with and governed exclusively by the laws of the State of Texas applicable to Terms and Conditions made among Texas residents and to be performed wholly within such jurisdiction, regardless of such parties actual domiciles. For purposes of these Terms and Conditions both parties submit to personal jurisdiction in Nueces County , Texas and further agree that any cause of action arising under these Terms and Conditions will be brought exclusively in a Nueces County, Texas court. I HAVE BEEN IN BUSINESS FOR OVER 15 YEARS. I PERSONALLY DRIVE AND INSPECT EVERY VEHICLE IN MY INVENTORY. I WILL DO MY BEST TO ANSWER ANY QUESTIONS YOU MAY HAVE ON ANY OF MY LISTINGS. 4602 South Padre Island Drive. Corpus Christi, Texas 78411. 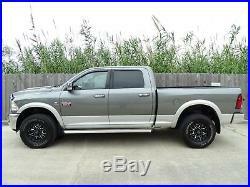 The item “2013 Ram 2500 Laramie Mega Cab 4×4″ is in sale since Thursday, November 8, 2018. 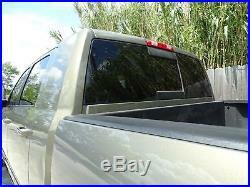 This item is in the category “eBay Motors\Cars & Trucks\Dodge\Ram 2500″. 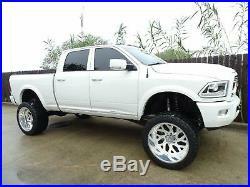 The seller is “discount*trucks*in*texas” and is located in Corpus Christi, Texas. This item can be shipped worldwide. 2014 Ram 2500 Laramie. See more photos below. TRADES WELCOME & FINANCING AVAILABLE!! ENGINE: 6.7L I6 CUMMINS TURBO DIESEL. Lt Frost Beige/Brown Leather. 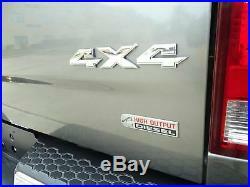 2014 Dodge Ram 2500 – 4X4 – 4 dr. Crew Cab – Laramie – Short Bed – 6.7L I6 Cummins Turbo Diesel Engine – Automatic Transmission – Heated & Cooled Leather – Premium Alpine Audio – Extremely Nice – Non-Smoker – 132,347 Miles. 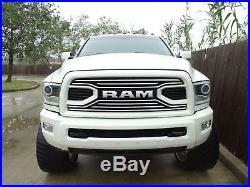 2014 Dodge Ram 2500 4X4 Laramie 4dr Crew Cab (6.7L I6), Automatic Transmission with Bright White Clearcoat Exterior, Premium Tan Leather Interior. DON’T HESITATE TO CALL GABE TO GET A MORE DETAILED DESCRIPTION. IF YOU HAVE ANY QUESTIONS! 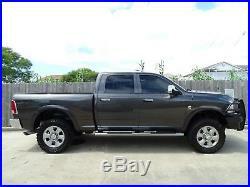 I’LL BE HAPPY TO GO OVER THIS RAM 2500 4X4 IN DETAIL WITH YOU. AT OUR DEALERSHIP WE WORK VERY HARD TO ACCURATELY DESCRIBE OUR VEHICLES THROUGH TEXT DESCRIPTIONS AND ELABORATE PHOTOS. PLEASE KEEP IN MIND THAT YOU ARE PURCHASING A PRE-OWNED VEHICLE AND NO PRE-OWNED VEHICLE IS PERFECT. ANY USED VEHICLE CAN HAVE NORMAL WEAR AND BLEMISHES. BOOKS, FLOOR MATS, AND EXTRA KEYS MAY NOT BE INCLUDED UNLESS STATED OTHERWISE. [ETK] ENGINE: 6.7L I6 CUMMINS TURBO DIESEL -inc: GVWR: 10,000 lbs, 5.5 Additional Gallons of Diesel, Cummins Turbo Diesel Badge, Current Generation Engine Controller, 50 State Emissions, Diesel Exhaust Brake, Selective Catalytic Reduction (Urea), Tow Hooks, 180 Amp Alternator, RAM Active Air. 115V Auxiliary Power Outlet. 2 Seatback Storage Pockets. 3 12V DC Power Outlets. 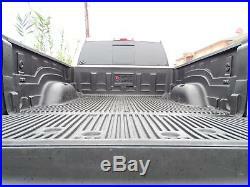 Cargo Area Concealed Storage. Carpet in good condition. Cruise Control w/Steering Wheel Controls. 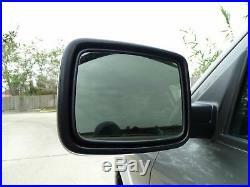 Driver And Passenger Visor Vanity Mirrors w/Driver And Passenger Illumination. Dual Zone Front Automatic Air Conditioning w/Front Infrared. Folding Flat Load Floor Storage. Full Carpet Floor Covering -inc: Carpet Front And Rear Floor Mats. HVAC -inc: Underseat Ducts and Console Ducts. Heated Leather Steering Wheel. Instrument Panel Bin, Dashboard Storage, Driver / Passenger And Rear Door Bins, 1st Row Underseat Storage and 2nd Row Underseat Storage. Interior Trim -inc: Simulated Wood/Metal-Look Instrument Panel Insert, Simulated Wood/Metal-Look Door Panel Insert and Chrome/Metal-Look Interior Accents. Interior in excellent condition. Manual Adjustable Front Head Restraints and Manual Adjustable Rear Head Restraints. Manual Tilt Steering Column. Memory Settings -inc: Driver Seat and Audio. Mini Overhead Console and 3 12V DC Power Outlets. Rear 60/40 Split Folding Seat. Seats in excellent condition. Sentry Key Engine Immobilizer. Urethane Gear Shift Knob. Black Side Windows Trim and Black Front Windshield Trim. Cargo Lamp w/High Mount Stop Light. Chrome Rear Step Bumper. Exterior Mirrors Courtesy Lamps. Exterior in excellent condition. Front License Plate Bracket. Full-Size Spare Tire Stored Underbody w/Crankdown. Fully Automatic Projector Beam Halogen Headlamps w/Delay-Off. Fully Galvanized Steel Panels. Tailgate Rear Cargo Access. Vendor Painted Cargo Box Tracking. Curtain 1st And 2nd Row Airbags. Dual Stage Driver And Passenger Front Airbags. Dual Stage Driver And Passenger Seat-Mounted Side Airbags. Outboard Front Lap And Shoulder Safety Belts -inc: Rear Center 3 Point, Height Adjusters and Pretensioners. Parksense Rear Parking Sensors. Rear Child Safety Locks. Tire Specific Low Tire Pressure Warning. 3.73 Rear Axle Ratio. 4-Wheel Disc Brakes w/4-Wheel ABS, Front And Rear Vented Discs, Brake Assist and Hill Hold Control. 730CCA Maintenance-Free Battery w/Run Down Protection. Class V Towing Equipment -inc: Harness, Hitch, Brake Controller and Trailer Sway Control. GVWR: 9,000 lbs. Multi-Link Front Suspension w/Coil Springs. Multi-Link Rear Suspension w/Coil Springs. Single Stainless Steel Exhaust. 18 inch aluminum wheels in excellent condition. A better way to get a loan. Our dealership offers several financing options. We make it easy to get the new (or just new-to-you) vehicle you need, whether it is a car, truck, boat or RV. We provide flexible terms, competitive rates, plus let you set the pament due date at the beginning of the loan. Applying online is fast, convenient and secure. We GUARANTEE ALL OUR TITLES TO BE CLEAN AND CLEAR OF ANY LIENS. WE DO NOT SELL VEHICLES THAT HAVE SALVAGE OR RECONDITIONED TITLES. Texas Is A Title Holding State. We Will Provide You With A 60 Day Temporary Tag During This Period. Thank You For Your Understanding. Certified Funds and Institutional Financing. Title Information Discount Motor Company is a licensed and bonded dealer in the State of Texas and guarantee a clean title on all our vehicles. In Texas, most titles are held as collateral with the lein holder. While we usually have all titles in our possession, there are occasions when we may be waiting for them to arrive. Thank you for your patience and understanding. Governing Law; Venue These Terms and Conditions will be construed in accordance with and governed exclusively by the laws of the State of Texas applicable to Terms and Conditions made among Texas residents and to be performed wholly within such jurisdiction, regardless of such parties actual domiciles. For purposes of these Terms and Conditions both parties submit to personal jurisdiction in Nueces County , Texas and further agree that any cause of action arising under these Terms and Conditions will be brought exclusively in a Nueces County, Texas court. I HAVE BEEN IN BUSINESS FOR OVER 15 YEARS. I PERSONALLY DRIVE AND INSPECT EVERY VEHICLE IN MY INVENTORY. I WILL DO MY BEST TO ANSWER ANY QUESTIONS YOU MAY HAVE ON ANY OF MY LISTINGS. 4602 South Padre Island Drive. Corpus Christi, Texas 78411. The item “2014 Ram 2500 Laramie” is in sale since Thursday, October 25, 2018. 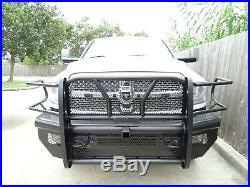 This item is in the category “eBay Motors\Cars & Trucks\Dodge\Ram 2500″. 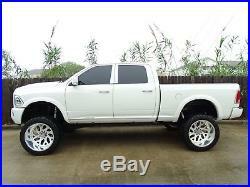 The seller is “discount*trucks*in*texas” and is located in Corpus Christi, Texas. This item can be shipped worldwide. 2013 Ram 2500 Laramie Mega Cab. See more photos below. TRADES WELCOME & FINANCING AVAILABLE!! 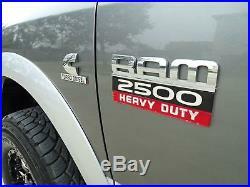 2500 Laramie Mega Cab. 6.7L I6 CUMMINS TURBO DIESEL ENGINE. 2013 Dodge Ram 2500 – 4X4 – 4 dr. Mega Cab – Laramie – Short Bed – 6.7L I6 Cummins Turbo Diesel Engine – Automatic Transmission – Heated & Cooled Leather – Premium Alpine Audio – Non-Smoker – 167,737 Miles. 2013 Dodge Ram 2500 4X4 Larmie 4dr Mega Cab (6.7L I6), Automatic Transmission with Prairie Pearl Exterior, Premium Black Leather Interior. DON’T HESITATE TO CALL GABE TO GET A MORE DETAILED DESCRIPTION. IF YOU HAVE ANY QUESTIONS! 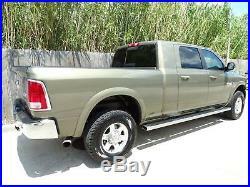 I’LL BE HAPPY TO GO OVER THIS RAM 2500 4X4 IN DETAIL WITH YOU. AT OUR DEALERSHIP WE WORK VERY HARD TO ACCURATELY DESCRIBE OUR VEHICLES THROUGH TEXT DESCRIPTIONS AND ELABORATE PHOTOS. PLEASE KEEP IN MIND THAT YOU ARE PURCHASING A PRE-OWNED VEHICLE AND NO PRE-OWNED VEHICLE IS PERFECT. ANY USED VEHICLE CAN HAVE NORMAL WEAR AND BLEMISHES. BOOKS, FLOOR MATS, AND EXTRA KEYS MAY NOT BE INCLUDED UNLESS STATED OTHERWISE. [ETK] 6.7L I6 CUMMINS TURBO DIESEL ENGINE -inc: 11.50 rear axle, 180-amp alternator, diesel exhaust brake, 10000# GVWR, selective catalytic reduction (urea), tow hooks. Auto air conditioning w/dual zone temp controls. Behind seat storage bin. Carpet in excellent condition. Chrome accent shift knob. Deluxe door trim panel. Electroluminescent instrument cluster -inc: vehicle info center, temp & compass gauge, traveler/mini trip computer, 120-MPH primary speedometer. Front & rear floor mats. Front center seat cushion storage. Front door accent lighting. Interior in excellent condition. Leather wrapped steering wheel. Overhead console w/universal garage door opener. Rear 60/40 split-fold up bench seat. Rear dome lamp w/on/off switch. Rear door accent lighting. Seats in excellent condition. Steering wheel mounted audio controls. 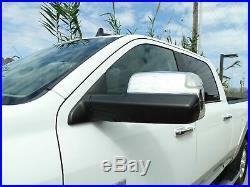 Sun visors w/illuminated vanity mirrors. Woodgrain instrument panel bezel. 17 steel spare wheel. 17″ x 8.0″ aluminum wheels. Body color headlamp filler panel. Body color/chrome door handles. Exterior in excellent condition. Front bumper sight shields. Front license plate bracket. Full size spare tire. Premium chrome tail lamps. Vendor painted cargo box tracking. Advanced multistage front air bags. Child safety door locks. Front height-adjustable shoulder belts. ParkView rear back-up camera. Supplemental side curtain front & rear air bags. Tire pressure monitoring display. 10.5 rear axle ring gear diameter. 3.73 axle ratio (REQ: EZC Engine). Class V receiver hitch. Electronic shift-on-the-fly transfer case. HD front shock absorbers. HD rear shock absorbers. Pwr 4-wheel anti-lock disc brakes. Trailer tow wiring w/4-pin connector. (9) amplified speakers w/subwoofer. Fixed long mast antenna. Roadside assistance & 911 call. Uconnect access -inc: Uconnect access advantage, 6-month trial. Uconnect voice command w/Bluetooth. 17 inch aluminum wheels in excellent condition. A better way to get a loan. Our dealership offers several financing options. We make it easy to get the new (or just new-to-you) vehicle you need, whether it is a car, truck, boat or RV. We provide flexible terms, competitive rates, plus let you set the pament due date at the beginning of the loan. Applying online is fast, convenient and secure. We GUARANTEE ALL OUR TITLES TO BE CLEAN AND CLEAR OF ANY LIENS. WE DO NOT SELL VEHICLES THAT HAVE SALVAGE OR RECONDITIONED TITLES. Texas Is A Title Holding State. We Will Provide You With A 60 Day Temporary Tag During This Period. Thank You For Your Understanding. Certified Funds and Institutional Financing. Title Information Discount Motor Company is a licensed and bonded dealer in the State of Texas and guarantee a clean title on all our vehicles. In Texas, most titles are held as collateral with the lein holder. While we usually have all titles in our possession, there are occasions when we may be waiting for them to arrive. Thank you for your patience and understanding. Governing Law; Venue These Terms and Conditions will be construed in accordance with and governed exclusively by the laws of the State of Texas applicable to Terms and Conditions made among Texas residents and to be performed wholly within such jurisdiction, regardless of such parties actual domiciles. For purposes of these Terms and Conditions both parties submit to personal jurisdiction in Nueces County , Texas and further agree that any cause of action arising under these Terms and Conditions will be brought exclusively in a Nueces County, Texas court. I HAVE BEEN IN BUSINESS FOR OVER 15 YEARS. I PERSONALLY DRIVE AND INSPECT EVERY VEHICLE IN MY INVENTORY. I WILL DO MY BEST TO ANSWER ANY QUESTIONS YOU MAY HAVE ON ANY OF MY LISTINGS. 4602 South Padre Island Drive. Corpus Christi, Texas 78411. The item “2013 Ram 2500 Laramie Mega Cab 4×4″ is in sale since Wednesday, October 17, 2018. 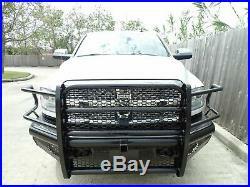 This item is in the category “eBay Motors\Cars & Trucks\Dodge\Ram 2500″. 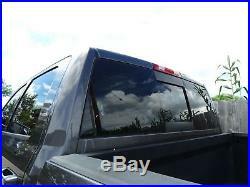 The seller is “discount*trucks*in*texas” and is located in Corpus Christi, Texas. This item can be shipped worldwide. 2014 Ram 2500 Laramie. See more photos below. TRADES WELCOME & FINANCING AVAILABLE!! Granite Crystal Metallic Clearcoat. ENGINE: 6.7L I6 CUMMINS TURBO DIESEL. 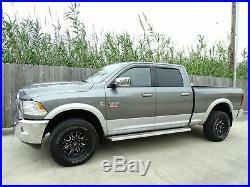 2014 Dodge Ram 2500 – 4X4 – 4 dr. Crew Cab – Laramie – Short Bed – 6.7L I6 Cummin Turbo Diesel Engine – Automatic Transmission – Heated & Cooled Leather – Premium Alpine Audio – Extremely Nice – Non-Smoker – 95,774 Miles. 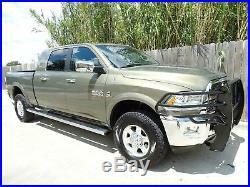 2014 Dodge Ram 2500 4X4 Larmie 4dr Crew Cab (6.7L I6), Automatic Transmission with. Exterior, Premium Black Leather Interior. DON’T HESITATE TO CALL GABE TO GET A MORE DETAILED DESCRIPTION. IF YOU HAVE ANY QUESTIONS! 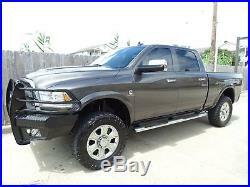 I’LL BE HAPPY TO GO OVER THIS RAM 2500 4X4 IN DETAIL WITH YOU. AT OUR DEALERSHIP WE WORK VERY HARD TO ACCURATELY DESCRIBE OUR VEHICLES THROUGH TEXT DESCRIPTIONS AND ELABORATE PHOTOS. PLEASE KEEP IN MIND THAT YOU ARE PURCHASING A PRE-OWNED VEHICLE AND NO PRE-OWNED VEHICLE IS PERFECT. ANY USED VEHICLE CAN HAVE NORMAL WEAR AND BLEMISHES. BOOKS, FLOOR MATS, AND EXTRA KEYS MAY NOT BE INCLUDED UNLESS STATED OTHERWISE. [ETK] ENGINE: 6.7L I6 CUMMINS TURBO DIESEL -inc: GVWR: 10,000 lbs, 5.5 Additional Gallons of Diesel, Cummins Turbo Diesel Badge, Current Generation Engine Controller, 50 State Emissions, Diesel Exhaust Brake, Selective Catalytic Reduction (Urea), Tow Hooks, 180 Amp Alternator, RAM Active Air. 115V Auxiliary Power Outlet. 2 Seatback Storage Pockets. 3 12V DC Power Outlets. Cargo Area Concealed Storage. Carpet in excellent condition. Cruise Control w/Steering Wheel Controls. 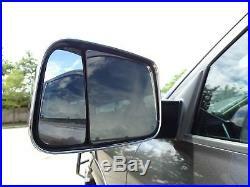 Driver And Passenger Visor Vanity Mirrors w/Driver And Passenger Illumination. Dual Zone Front Automatic Air Conditioning w/Front Infrared. Folding Flat Load Floor Storage. Full Carpet Floor Covering -inc: Carpet Front And Rear Floor Mats. HVAC -inc: Underseat Ducts and Console Ducts. Heated Leather Steering Wheel. Instrument Panel Bin, Dashboard Storage, Driver / Passenger And Rear Door Bins, 1st Row Underseat Storage and 2nd Row Underseat Storage. Interior Trim -inc: Simulated Wood/Metal-Look Instrument Panel Insert, Simulated Wood/Metal-Look Door Panel Insert and Chrome/Metal-Look Interior Accents. Interior in excellent condition. Manual Adjustable Front Head Restraints and Manual Adjustable Rear Head Restraints. Manual Tilt Steering Column. Memory Settings -inc: Driver Seat and Audio. Mini Overhead Console and 3 12V DC Power Outlets. Rear 60/40 Split Folding Seat. Seats in excellent condition. Sentry Key Engine Immobilizer. Urethane Gear Shift Knob. Black Side Windows Trim and Black Front Windshield Trim. Cargo Lamp w/High Mount Stop Light. 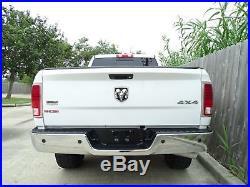 Chrome Rear Step Bumper. Exterior Mirrors Courtesy Lamps. Exterior in excellent condition. Front License Plate Bracket. Full-Size Spare Tire Stored Underbody w/Crankdown. Fully Automatic Projector Beam Halogen Headlamps w/Delay-Off. Fully Galvanized Steel Panels. Tailgate Rear Cargo Access. Vendor Painted Cargo Box Tracking. Curtain 1st And 2nd Row Airbags. Dual Stage Driver And Passenger Front Airbags. Dual Stage Driver And Passenger Seat-Mounted Side Airbags. Outboard Front Lap And Shoulder Safety Belts -inc: Rear Center 3 Point, Height Adjusters and Pretensioners. Parksense Rear Parking Sensors. Rear Child Safety Locks. Tire Specific Low Tire Pressure Warning. 3.73 Rear Axle Ratio. 4-Wheel Disc Brakes w/4-Wheel ABS, Front And Rear Vented Discs, Brake Assist and Hill Hold Control. 730CCA Maintenance-Free Battery w/Run Down Protection. Class V Towing w/Harness, Hitch, Brake Controller and Trailer Sway Control. GVWR: 9,000 lbs. Multi-Link Front Suspension w/Coil Springs. Multi-Link Rear Suspension w/Coil Springs. Single Stainless Steel Exhaust. 35×12.50r20lt Toyo tires. 20 inch aluminum wheels in excellent condition. A better way to get a loan. Our dealership offers several financing options. We make it easy to get the new (or just new-to-you) vehicle you need, whether it is a car, truck, boat or RV. We provide flexible terms, competitive rates, plus let you set the pament due date at the beginning of the loan. Applying online is fast, convenient and secure. We GUARANTEE ALL OUR TITLES TO BE CLEAN AND CLEAR OF ANY LIENS. WE DO NOT SELL VEHICLES THAT HAVE SALVAGE OR RECONDITIONED TITLES. Texas Is A Title Holding State. We Will Provide You With A 60 Day Temporary Tag During This Period. Thank You For Your Understanding. Certified Funds and Institutional Financing. Title Information Discount Motor Company is a licensed and bonded dealer in the State of Texas and guarantee a clean title on all our vehicles. In Texas, most titles are held as collateral with the lein holder. While we usually have all titles in our possession, there are occasions when we may be waiting for them to arrive. Thank you for your patience and understanding. Governing Law; Venue These Terms and Conditions will be construed in accordance with and governed exclusively by the laws of the State of Texas applicable to Terms and Conditions made among Texas residents and to be performed wholly within such jurisdiction, regardless of such parties actual domiciles. For purposes of these Terms and Conditions both parties submit to personal jurisdiction in Nueces County , Texas and further agree that any cause of action arising under these Terms and Conditions will be brought exclusively in a Nueces County, Texas court. I HAVE BEEN IN BUSINESS FOR OVER 15 YEARS. I PERSONALLY DRIVE AND INSPECT EVERY VEHICLE IN MY INVENTORY. I WILL DO MY BEST TO ANSWER ANY QUESTIONS YOU MAY HAVE ON ANY OF MY LISTINGS. 4602 South Padre Island Drive. Corpus Christi, Texas 78411. 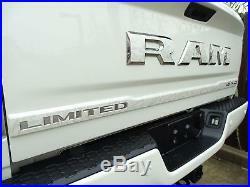 The item “2014 Ram 2500 Laramie 6.7L Cummins” is in sale since Friday, October 12, 2018. 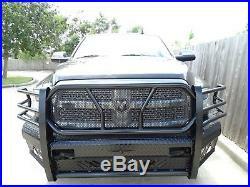 This item is in the category “eBay Motors\Cars & Trucks\Dodge\Ram 2500″. 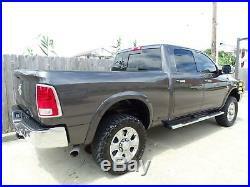 The seller is “discount*trucks*in*texas” and is located in Corpus Christi, Texas. This item can be shipped worldwide.